Almost without exception, the members of the Bloomsbury Group were opposed to the first world war. Their attitudes varied from outright pacifism through conscientious objection to quietism and a form of radical internationalism normally only found in figures such as Trotsky and Lenin. The origins of these attitudes – which were extremely unusual at the time – lay in the liberal, laissez-faire, free-thinking and non-religious beliefs which seemed to have spread from late nineteenth-century intellectuals such as Sir Leslie Stephen (father of the Bloomsbury Group) and the next generation of Cambridge undergraduates of the period 1895-1905 who were heavily influenced by the philosophy of G.E.Moore, whose Principia Ethica promoted ideals of friendship and love towards others. 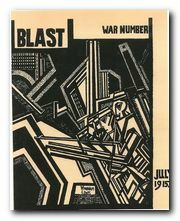 Conscription began in 1915, and whilst the government lied to the country about conditions at the front for propaganda purposes, the Bloomsbury Group were tipped off about the horrors of the trenches by Maynard Keynes, who as a member of the Treasury, and had insider information on government matters. He had also visited soldiers convalescing at Cambridge. They were recovering from shell shock and the grim truths of bayonet charges and ‘going over the top’. None of them wanted to go back. Art critic Clive Bell was the son of a nouveau-riche family who had made their money in coal-mining in southern Wales, but established a fake-Tudor manor in Wiltshire, invented a family crest, and sent him to Marlborough College. Despite this very conservative background, in 1915 Bell published a controversial pamphlet, Peace at Once, calling for a negotiated settlement to the conflict. This was considered an outrageous suggestion by the establishment of the time, and copies of his essay were burned by the Public Hangman. Bell resisted conscription on the grounds of being a conscientious objector, and he spent some of the war years doing what was called ‘alternative service’ on a farm owned by the politician Philip Morrell and his wife Ottoline. Leonard Woolf came from a background quite unlike other members of the Bloomsbury Group. He was the son of a Jewish barrister. Nevertheless, he met his fellow Bloomsberries at Cambridge and like them was influenced by the ethical theories of G.E.Moore. He served in the colonial service between 1905 and 1911 and developed first hand a healthy distaste for imperialism. With the outbreak of the war, he was rejected as unfit for military service, and campaigned actively for peace. He joined the Labour Party and the Fabian Society and became a regular contributor to the New Statesman. In 1916 he wrote International Government which outlined future possibilities for a international agency to enforce peace in the world. The book was incorporated by the British government in its proposals for a League of Nations at Geneva. Woolf maintained his anti-war and internationalist stance throughout his life, except for the period of the 1930s and the Second World War, when he somewhat reluctantly accepted that the threat of fascism was worth fighting against. He was also, like George Orwell (who had also served in and quit the colonial service) one of the few British intellectuals who saw through to the totalitarian tyranny underpinning Stalin’s sham democracy. Bertrand Russell was a contemporary of the other Bloomsberries at Cambridge, but unlike them he took up an academic career, teaching philosophy. Although he was elected to the Royal Society in 1908, Russell’s teaching career at Cambridge appeared to come to an end in 1916 when he was dismissed from Trinity College because of a conviction for anti-war activities. Two years later he was convicted again. This time he spent six months in prison. It was while in prison that he wrote his well-received Introduction to Mathematical Philosophy (1919). He continued to hold radical and anti-war views throughout the rest of his (long) life. In the 1950s and 1960s he was politically active in the campaign for nuclear disarmament (CND) and he opposed the American war in Vietnam. He established the International War Crimes Tribunal in 1966 with Jean-Paul Sartre and other Nobel prize winners.